If you’re applying for a job, the most stressful part of the process is also one of the most promising: the interview. Whether you’re being interviewed on the phone or in-person, there’s always the possibility that your anxiety will get the best of you. And while we can never predict exactly how things will go down, some careful prep goes a long way. 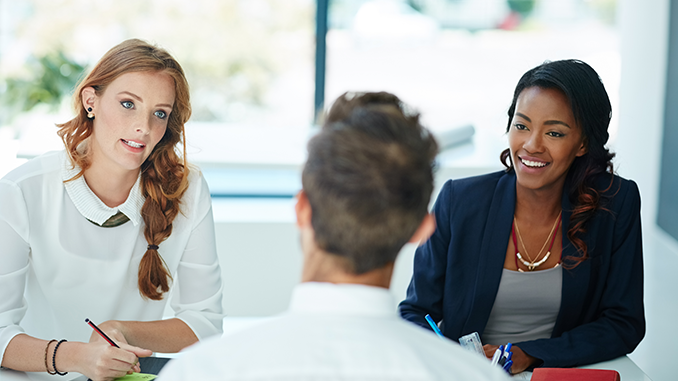 Thankfully, as most anybody who’s been through the wringer can attest, there are some interview questions you are almost guaranteed to hear, which means you can plan some responses accordingly. Check out our shortlist of some of the most common and vital interview questions and answers worth preparing for below. 1. What’s your greatest professional strength? 2. What do you think will be the hardest part of this job for you? 3. What has been the highlight of your professional career up to this point? This is another easy one to prepare for. Even abstract accomplishments are worth mentioning, though if you have a demonstrable achievement—maybe you were salesman of the year or had an article featured in an esteemed publication—this is where you can let it fly. 6. If I asked your last supervisor about your performance, what do you think she would say? You can say, “I think she’d commend my work at the company. I spent two years working directly under her and was able to accomplish a lot of things that were new to the organization.” If things didn’t end on a positive note at your most recent job, then chances are you probably won’t mention the position on your application in the first place. However, if it was a position in which you did learn important skills, consider acknowledging that you weren’t a good fit but that you nonetheless acquired the skills necessary for the potential job. 7. What’s been the biggest struggle of your professional career? You can basically rehash or extend your answer to the “What are your greatest strengths?” questions here, and tailor the response a bit more closely to the company directly. 9. What would you change about this company? Tread carefully, but bring your answer full circle by explaining how you could help bring about this change. Yes. The answer is always yes. In fact, if there’s a single answer you want to plan out, make it this one. Do your research on the company and dive even deeper into the specifics of the department you’d be placed in, if possible. You might ask, “What’s a normal day in this position look like?” Or, “What would your expectations be for this role over the next six months?” The point is you want to sound interested enough to follow-up and learn more about the ins and outs of the job. Even if the rest of the interview quelled your curiosity, keep a few token questions in the pocket so you’re not left blank when this question comes up. If you keep these questions in mind and spend some time preparing thoughtful answers for each, there’s no reason you can’t ace your next interview.